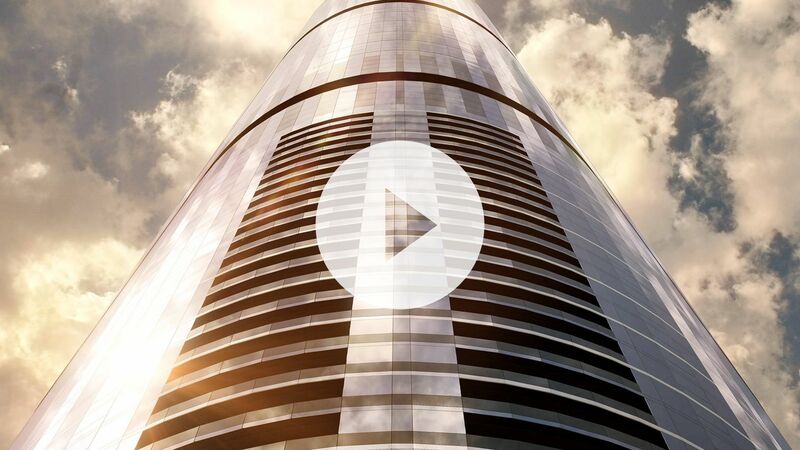 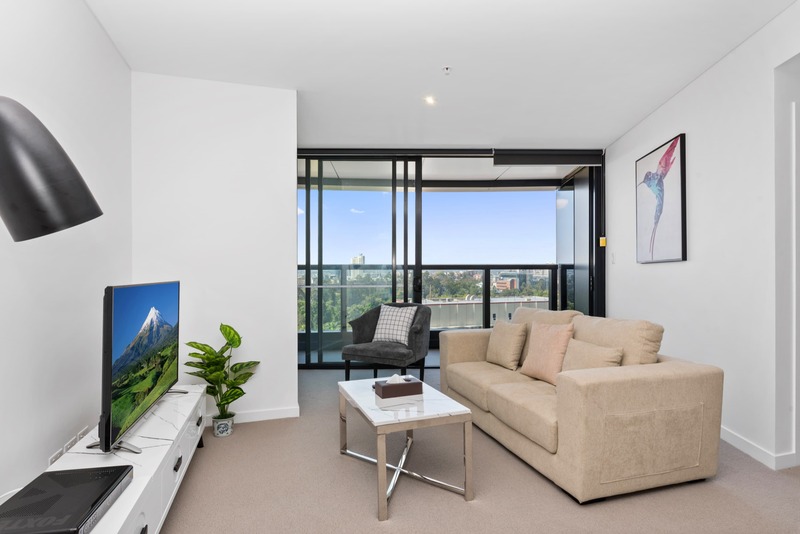 With 1138 high class, self-contained apartments (on completion), Brisbane Skytower is a step above for Brisbane luxury accommodation. 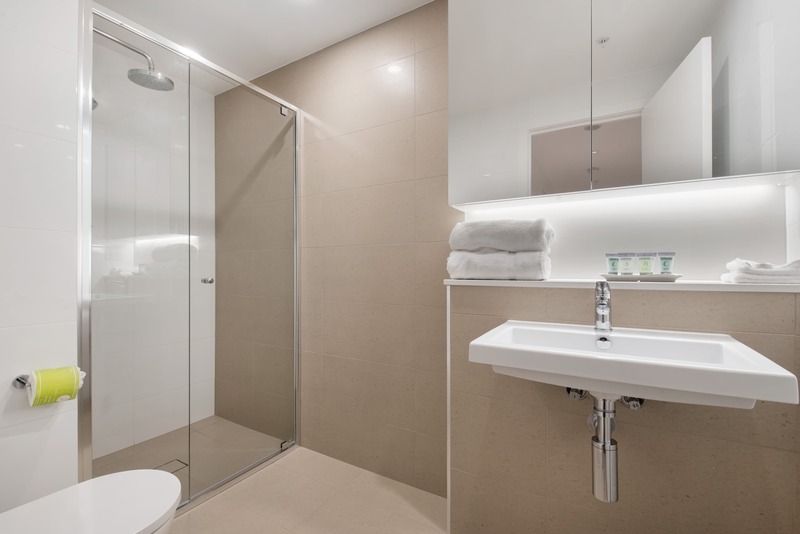 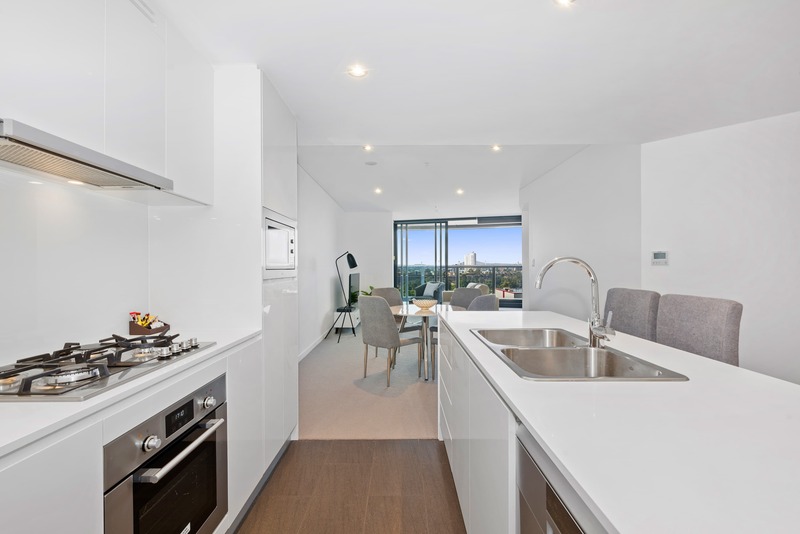 Our brand new, fully self-contained, One Bedroom Apartments are located right in the middle of Brisbane’s CBD (Central Business District) and are just a short walk from everything that Brisbane City has to offer. 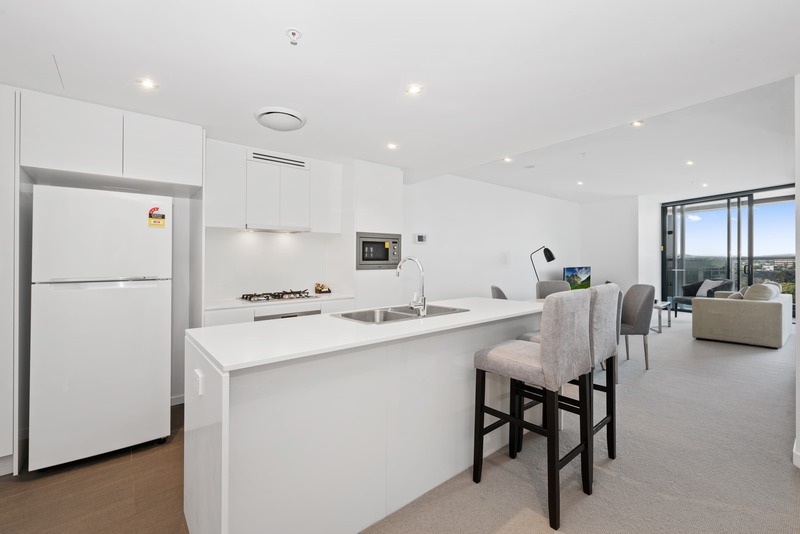 The apartments boast well-appointed, fully equipped kitchens, including full size fridges, gas stovetops and large ovens. 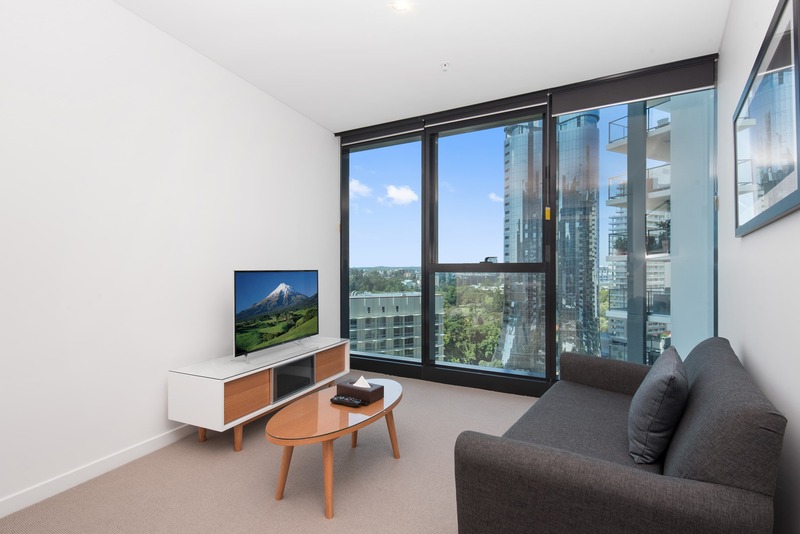 The dining and living areas have been well designed and perfectly suit the location, style and aura that is Brisbane Skytower. 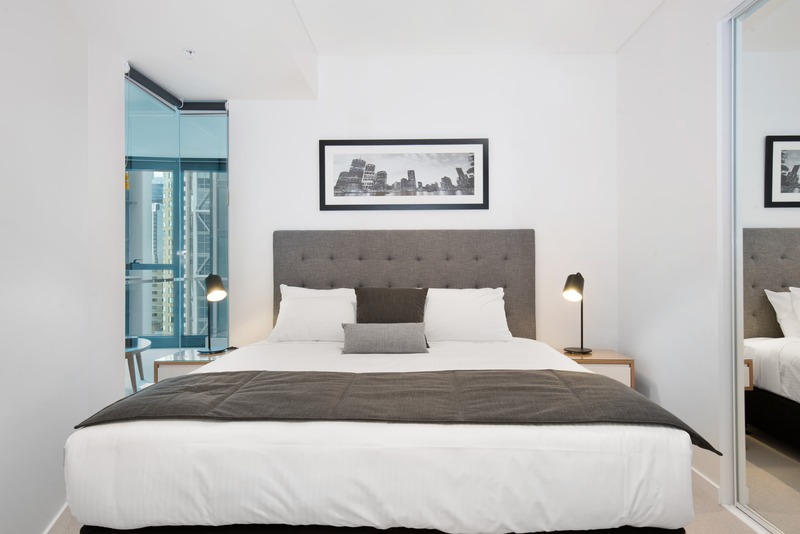 These rooms are great for corporate guests or couples in town for a city escape. 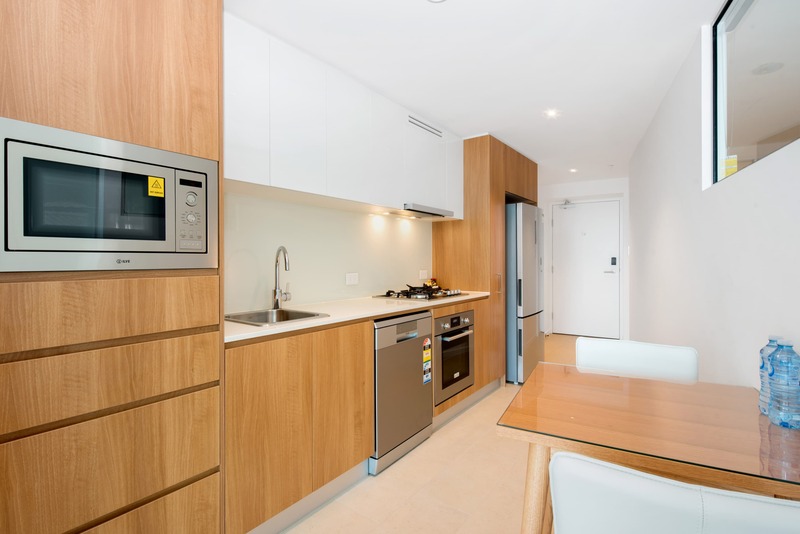 The apartment also comes with full laundry facilities, free unlimited Wi-Fi and Foxtel TV. 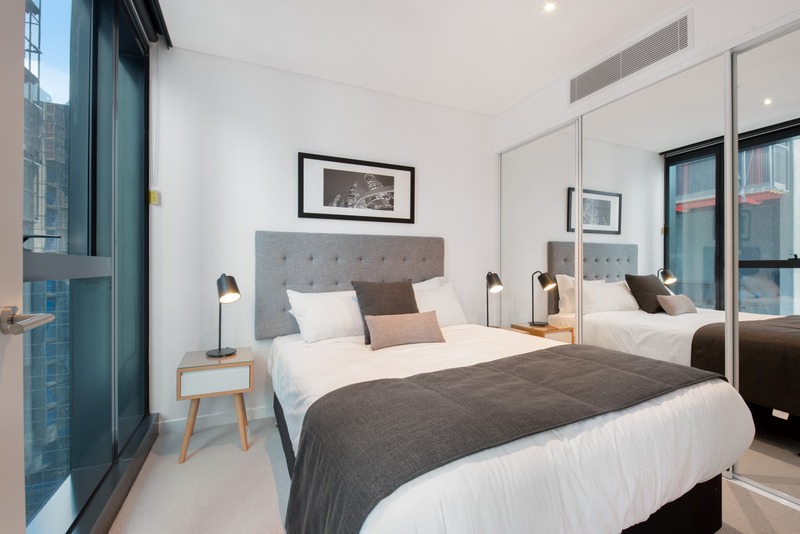 Each room comes with either a queen or king bed, which can be made into two singles on request and subject to availability. 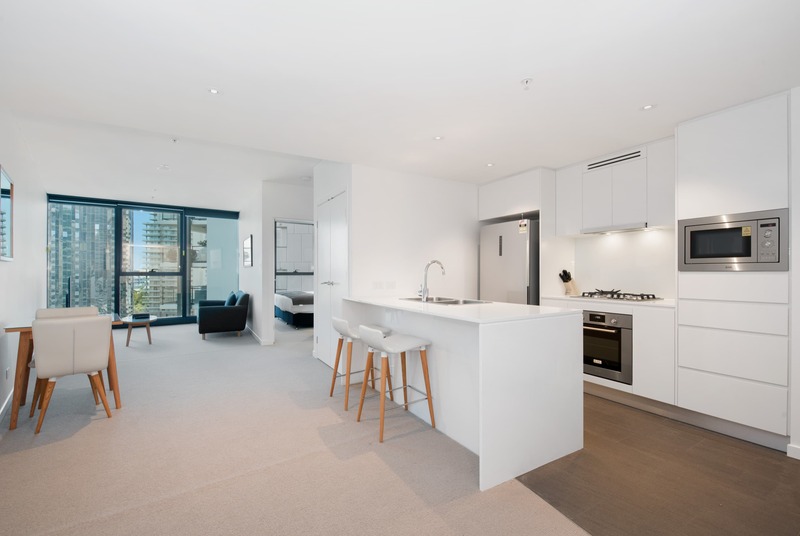 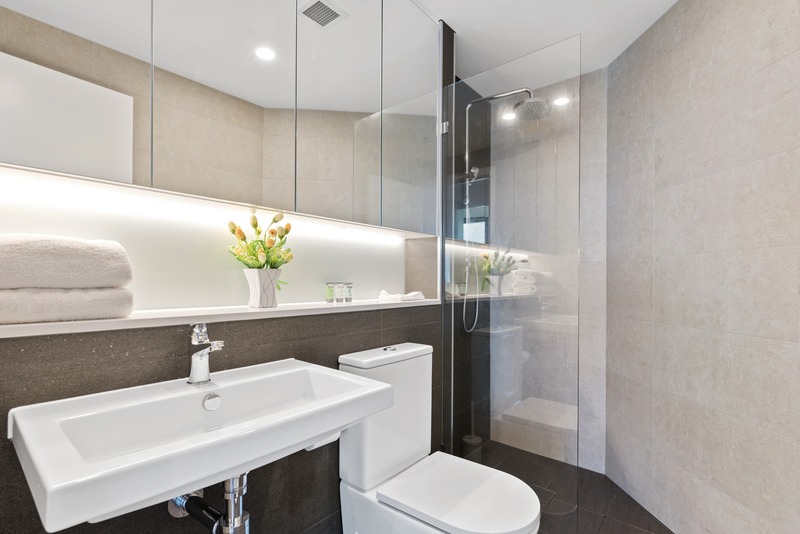 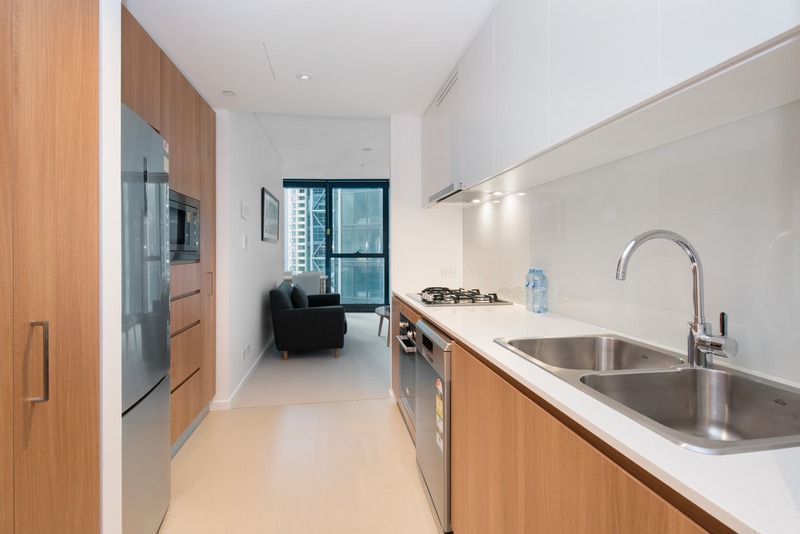 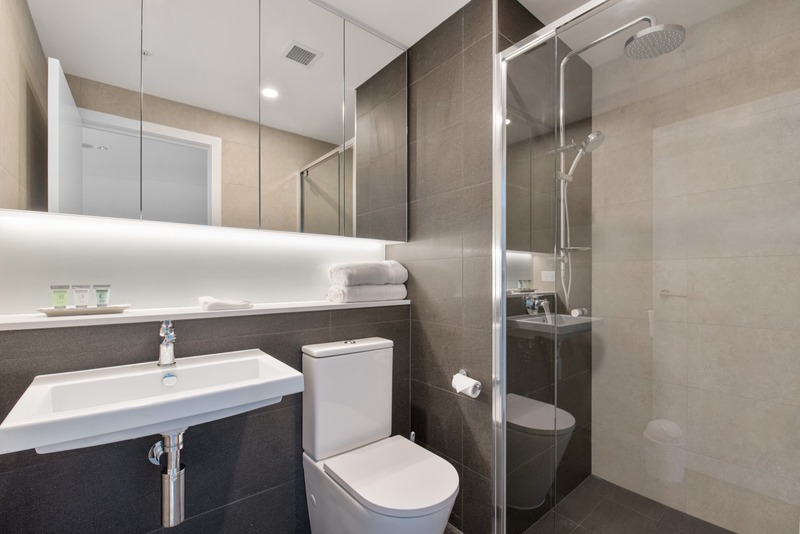 Our brand new, fully self-contained, Two Bedroom Apartments, are located right in the middle of Brisbane’s CBD (Central Business District) and are just a short walk from everything that the Brisbane City has to offer. 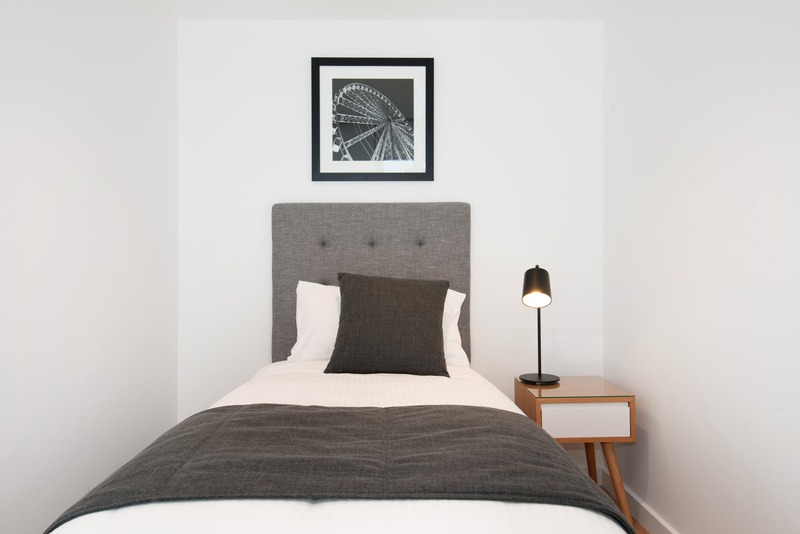 The apartments boast 1 large main bedroom, and a secondary bedroom which includes a Large King Single bed. 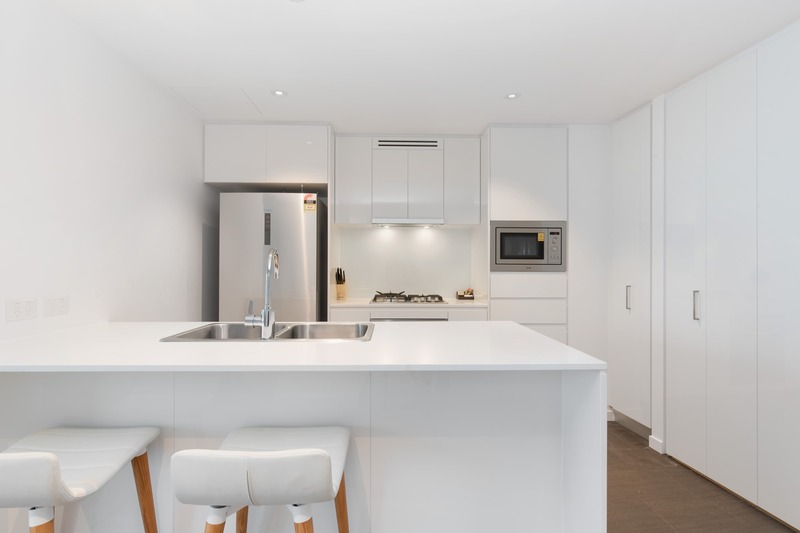 The apartments feature well-appointed, fully equipped kitchens, including full size fridges, gas stovetops and large ovens. 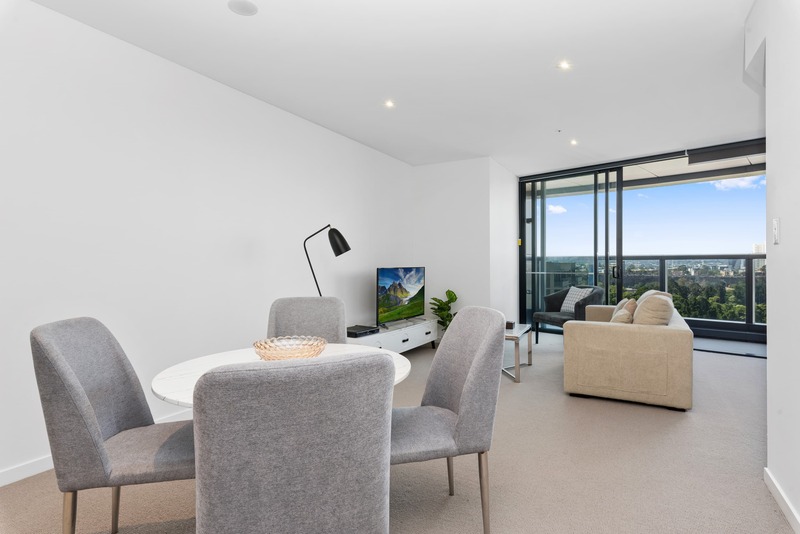 The dining and living areas have been well designed and perfectly suit the location, style and aura that is Brisbane Skytower. 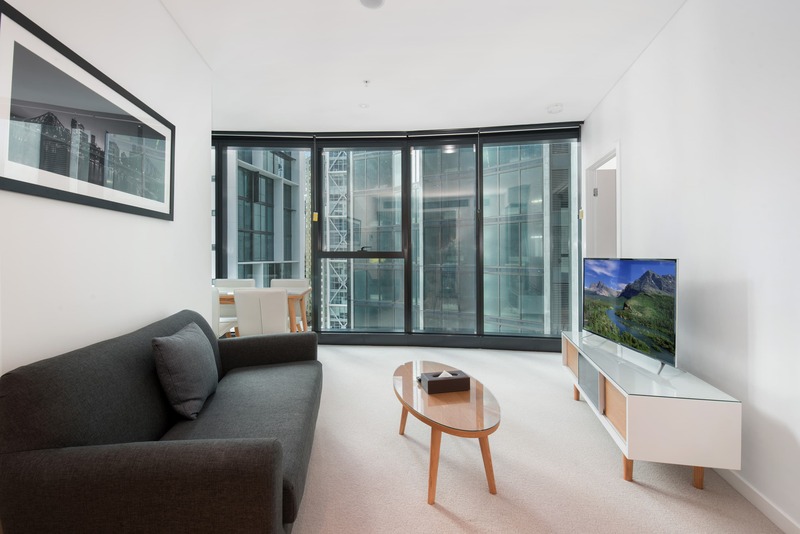 These apartments are perfect for a smaller family with two adults and one child or even two or three friends wanting to enjoy a city escape or attending a function. 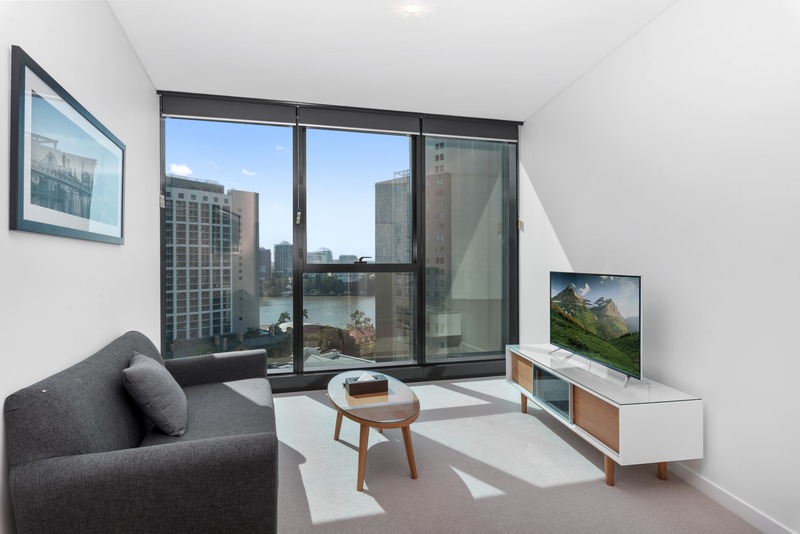 The apartment also comes with full laundry facilities, free unlimited Wi-Fi and Foxtel TV. 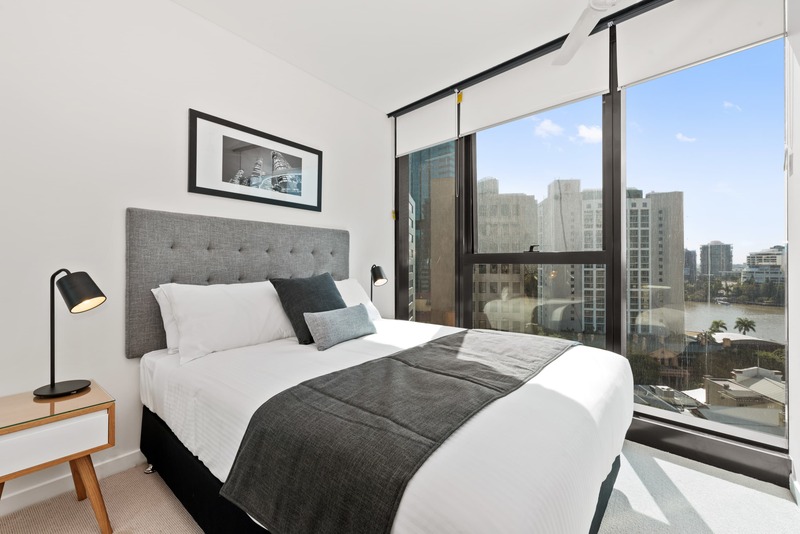 The main bedroom comes with either a queen or king bed and can be made into two singles on request and subject to availability.